This wearable Norman helm is a functional and skillfully handcrafted example of the nasal style helm in use during the 11th and 12th century. 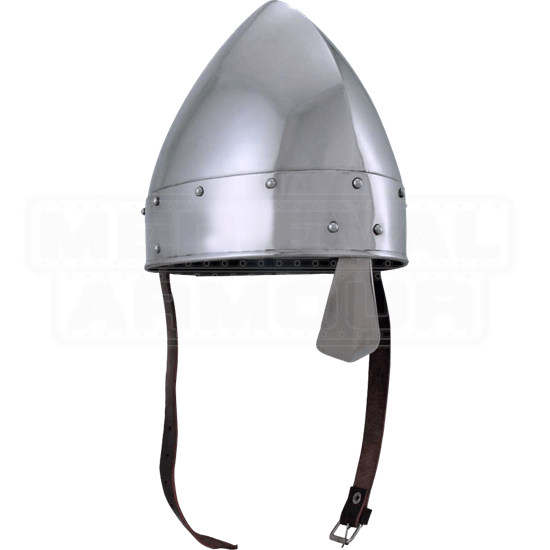 This helm style was worn by the historical Vikings and Norman knights, and it comes complete with leather chin strap to keep it in place in battle. 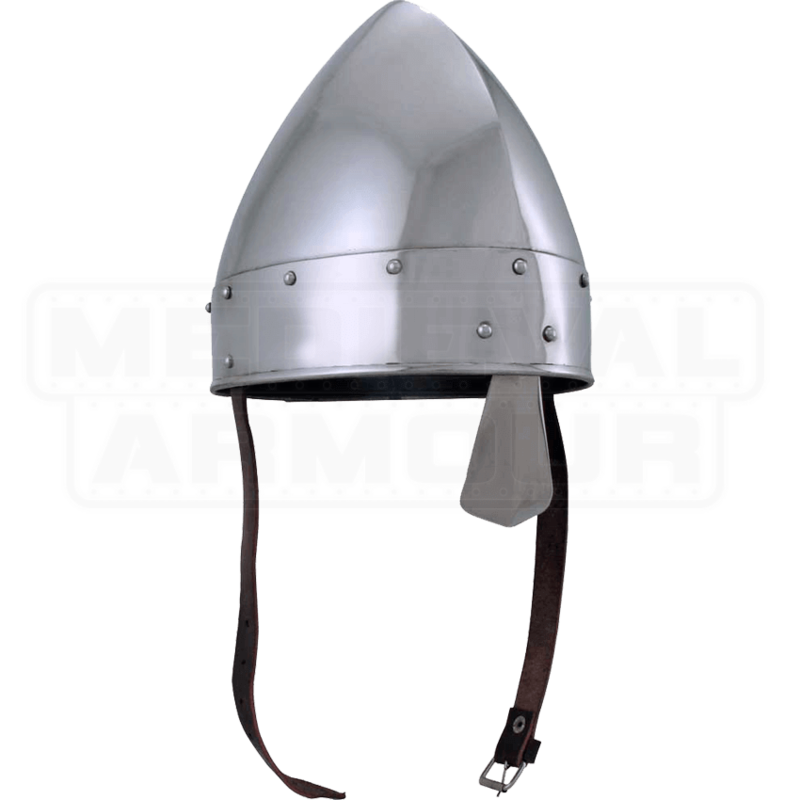 Full size and great for historical outfitting when coupled with one of our chainmail coifs and hauberk. Hand-crafted of 18 gauge steel.